ESPN airs report on Arizona track scandal: "Track and Fear"
ESPN aired a troubling report concerning an Arizona track scandal on Sunday's "Outside the Lines" program, called "Track and Fear." And, Baillie Gibson, the woman who accused Craig Carter, the former assistant coach, broke her silence. The link to the ESPN story can be found here. 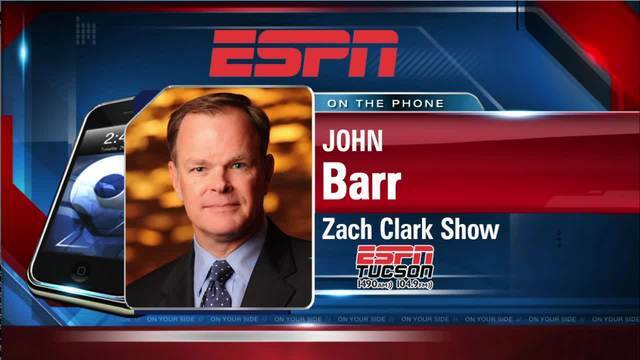 On Monday, ESPN reporter John Barr was a guest on The Zach Clark Show on sister radio station ESPN Tucson. Clark asked Barr, "Where do you think the University of Arizona failed Baillie Gibson?" "We didn't just interview one person who is an expert in Title IX issues involving sexual assault and sexual harassment on campus,"said Barr. "We interviewed several, and they were all in agreement in saying that the University just did the bare minimum so they could say they did something."